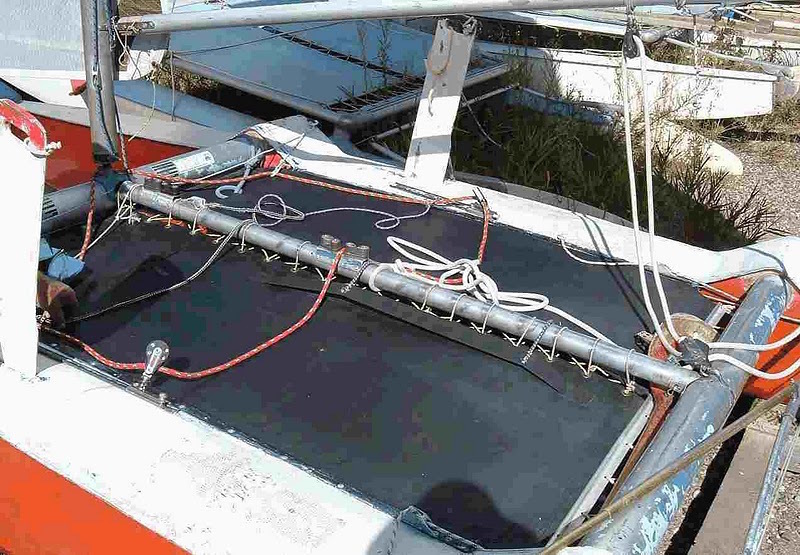 Centre Tube Jib Sheeting | Canadian SeaSpray Assn. It took some time to figure out but now that I have it, I would not go back to the standard that I started with – fairleads and cleats on outside of the hull located at dagger board slot. This proved awkward and did not work well for pointing the boat to windward. First step I did was to tie the Jib sheet ends together as they were always on the wrong side of the boat. Step two was to move the fairlead track to the inside of the hulls still located by daggerboard. Step three was the center cleating with fairleads at inner location. At present I have a rope traveler running from the doghouse to the inner hull edge to which pulleys are attached. My jib sheet is continuous with a smaller line attached with a sheet bend type of knot. The smaller line is lighter and allows the jib to fill more easily in lighter wind. 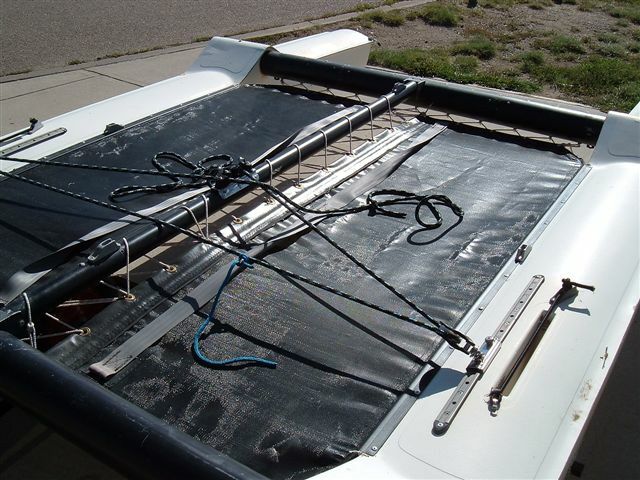 I have a bungee cord which pulls the traveler system(pulley) forward when running. This works well and is self adjusting. Stock main sheeting system and inboard jib car sheeting system. The tiller extension has been changed to a single stick from the cow horn style.